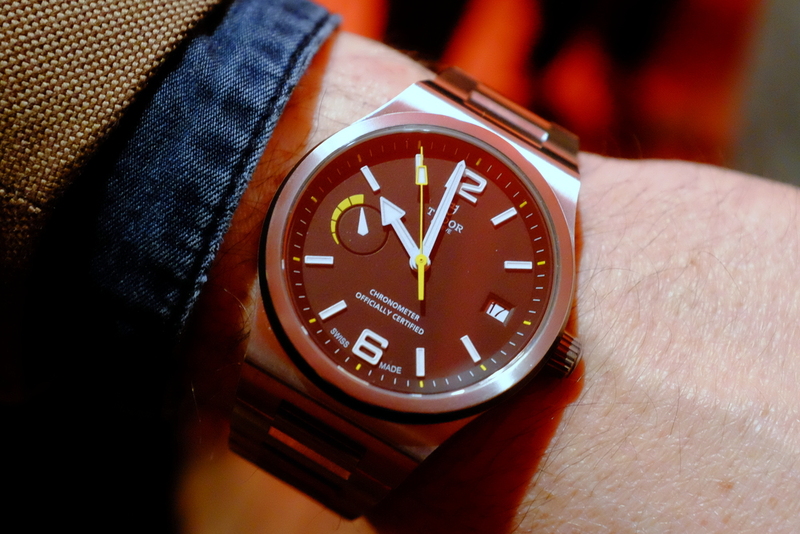 The new timepiece is the Tudor North Flag, which takes many of its design cues from the Tudor Ranger II of the 1970s, although in many respects the North Flag is very much its own design as well –not the least of which is thanks to a rather momentous event: the introduction of what Tudor’s calling its first in-house movement, the caliber MT5621. 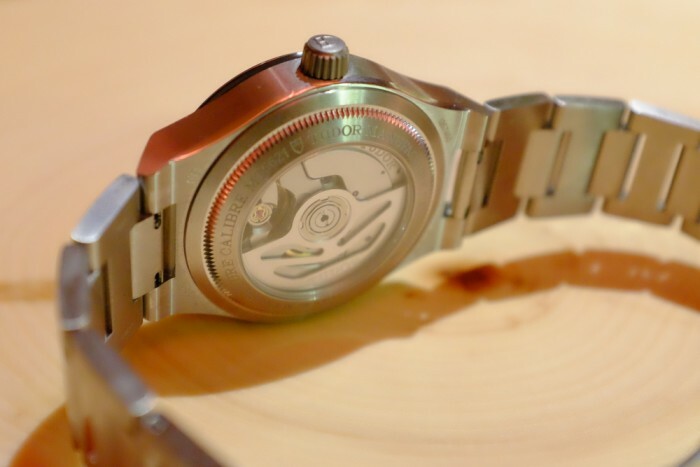 Caliber MT5621 has been in development at Tudor, we’re told, since 2010, and it’s obviously been designed to reflect Tudor’s heritage of tough, good looking tool watches but it’s also a thoroughly modern design that offers a tremendous amount of bang for the buck for watch enthusiasts looking for an in-house movement at an ébauche price point. 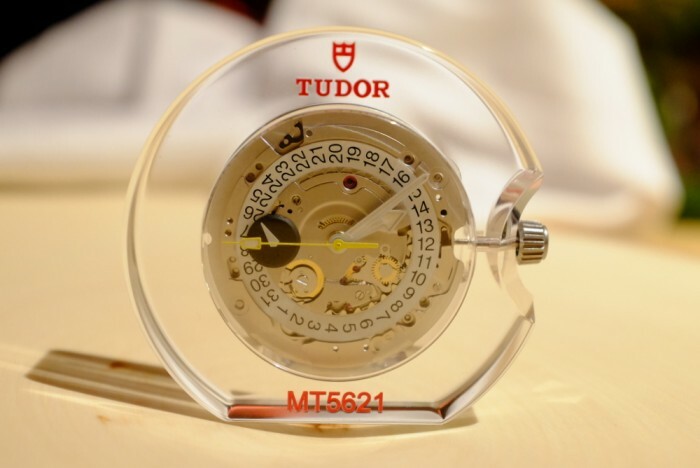 MT5621 has a seventy hour power reserve (there is a dial-side power reserve indication as well) and ticks a plethora of desirable boxes –an instant-switching date, a balance bridge, silicon balance spring, bidirectional winding, and a free-sprung adjustable mass balance (beating at 4 hertz) with a Tudor-designed and built –and patented –timing screw system for regulation. 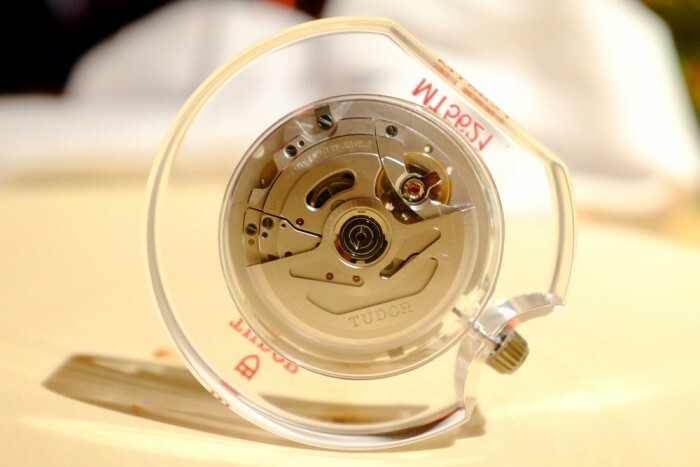 The high precision construction yields high precision results –this is to our knowledge the first watch and movement from Tudor to be certified as a chronometer by the COSC. 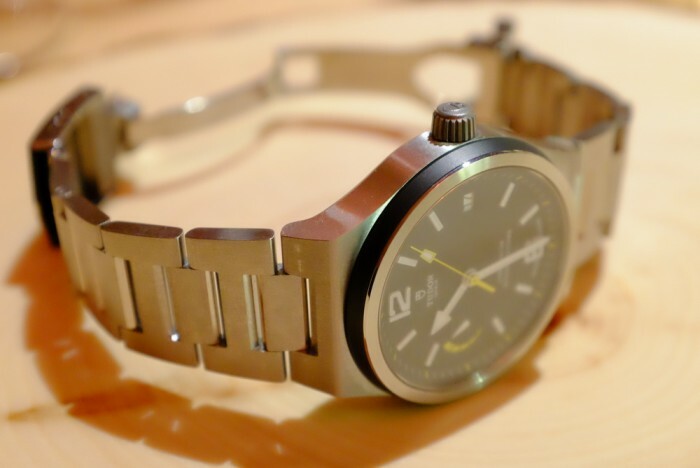 Such timing screws are used to alter the effective inertia of the balance and control rate –similar systems include Rolex’s own Microstella balance screws although timing screws have been used in watchmaking for centuries. They are generally thought to offer better rate stability over time, as they don’t drift out of position as regulator indexes can, and they don’t interfere with the oscillation of the balance spring.